While looking for bodybuilding supplements online you may have stumbled across Muscle Force Max Ultra, which is often seen advertised alongside Test Force Max Ultra. This supplement is claimed to help you “get ripped today”, while helping you “gain muscle, shed fat”. How does this supplement work though? 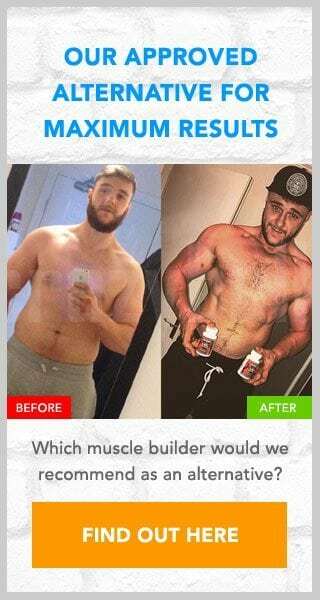 In the following review we will look at the ingredients of this supplement to see if they can truly offer the same benefits as those claimed. As this is a trial offer we will also make sure to check if there are any hidden charges too. As this is something that trial offers are renowned for having. To confirm how accurate these claims are we will need to look at what ingredients are found in Muscle Force Max Ultra. The Muscle Force Max Ultra has its label available to view, with L-Arginine and Citrulline Malate listed as its main ingredients. Both of these ingredients have been shown to be beneficial to your own training efforts. Most trial offers will hide their payment terms in the T&Cs, however this is not the case with Muscle Force Max Ultra as they are also available to view at the very top of the website, albeit in a small font. It states that you have to pay $9.69 for shipment of the first bottle then a further $69.69 at the end of the 14 day trial. As Muscle Force Max Ultra operates as an auto-ship program further monthly packages will be sent to you at a cost of $79.69+$9.69 shipping. Muscle Force Max Ultra is most certainly not a scam. It is however slightly overpriced. If it were a little cheaper then we may recommend it. As things stand I would recommend looking for a cheaper alternative. There is also an option to cancel the trial on the website itself. It is located at the top, underneath the form to sign up for the trial. If you have signed up for this trial we would love to hear from you. Please use the comment form below to leave your own review. Our suggested alternative is a supplement called D-Bal, which is available to buy outright from Crazy Bulk. This particular supplement has been created as a safe and natural alternative to the banned steroid Dianabol. D-Bal comes highly recommended, not only because it works but because there are no hidden or repeat charges either.